Throughout history, the spread of the gospel and discipling of whole nations has come primarily through Kingdom movements of multiplying disciples and churches (like the Jesus Movement and earlier awakenings in the U.S. and Europe). Such movements fulfill Jesus’ intent for His followers to become fishers of men and fourth seed (reproducing 30, 60 and 100-fold), just as we see in Acts. Historically such movements have seemed beyond human influence—solely the stirring of God’s spirit in response to prayer, perhaps through an individual we later come to regard as singularly yielded. However over recent decades, Kingdom movements have been birthed at a steadily increasing pace, and practitioners are learning from one another to cooperate with and be led by the Holy Spirit to be even more fruitful. Hundreds have experienced Spirit-led fruitfulness in disciple-making and church-planting movements. As a result, Christ’s body is today closer than ever to discipling all ethné and filling the earth with the knowledge of God’s glory. Following World War II, air travel first enabled experienced missionaries from many fields and agencies to pursue graduate studies together. While supervising those studies, Donald McGavran, Ralph Winter and others realized that common practices for starting and growing individual churches actually hindered the rapid movement of the gospel through whole people groups. 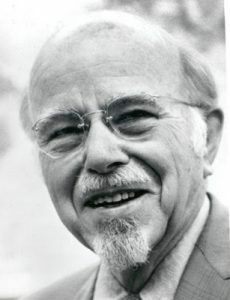 In 1974 Ralph Winter distilled insights from his students into the class known worldwide today as Perspectives on the World Christian Movement. 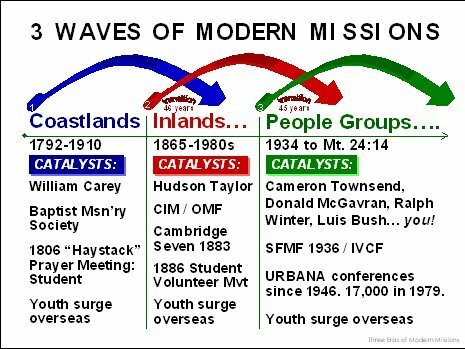 In this course he identified how successive waves of protestant mission effort were carrying us closer to the completion of Mt. 24:14. Movements are the only way peoples become reached. The common practices of 90% of missionaries inhibit movements. The practices that lead to movements are relatively simple. Fueled by a growing body of related insights, many prayerfully learned and applied the biblical movement principles modeled by Jesus and repeated by Paul, and movements began spreading. see a full-blown movement spread far beyond your immediate influence. 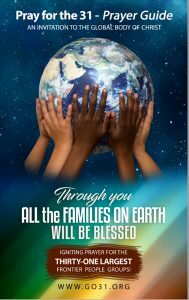 As the following books and materials reveal, multiplying movements have played a central, biblical role in God’s unchanging purpose to bless all peoples through His people. Lessons from Dominoes illustrating the social realities of movements. “Fruit Lover” coaches a movement network that has been doubling every 18 months (on average) since 2008. As of January 2018 his network had produced 25 full movements and spread to 47 language groups in 12 countries.